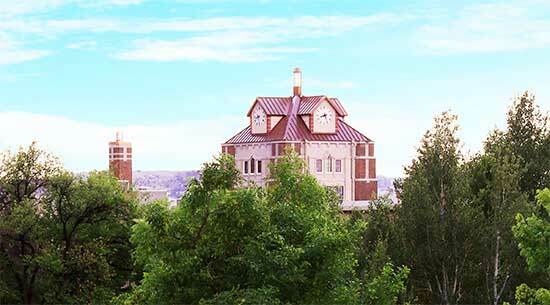 MSU BILLINGS NEWS— Montana State University Billings (MSUB) has recently reaffirmed its accreditation through its regional evaluating agency, the Northwest Commission on Colleges and Universities (NWCCU), who praised the university for its commitment and support of students. MSUB’s mission fulfillment and sustainability were evaluated by NWCCU during a process that began in October 2018. MSU Billings leadership met with the NWCCU in January, where the reaffirmation was made official. MSUB must go through NWCCU’s accreditation process every seven years and has been accredited with the agency since 1932. The accreditation team commended MSUB’s faculty and staff’s commitment to students and their perseverance in providing thoughtful, responsive, and innovative services and support throughout periods of instability in university leadership. In addition, NWCCU praised the Institutional Research Department for providing easily accessible and extensive information that aided in the accreditation process, facilitating decision making and evaluation for the university. The accreditors recommended that MSUB stabilize the administrative team, evaluate HR processes for proper support of institutional operations, and revisit the university’s mission, core themes, and indicators of achievement. NWCCU recognizes higher education institutions for performance, integrity, and quality, to merit the confidence of the educational community and the public. NWCCU’s accreditation of postsecondary institutions is a voluntary, non-governmental, self-regulatory process of quality assurance and institutional improvement. Accreditation or pre-accreditation by NWCCU also qualifies institutions and enrolled students for access to Title IV federal funds to support teaching, research, and student financial aid. MSUB’s next NWCCU evaluation will fall in the spring of 2020. For more information, contact Accreditation Liaison Officer Dr. Susan Balter-Reitz at 657-2214 or susan.balterreitz@msubillings.edu.